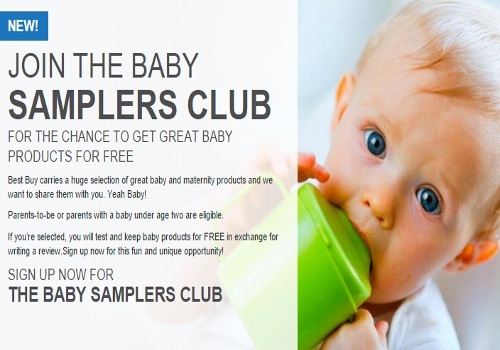 Did you know that Best Buy has a Baby Samplers Club? We didn't either! Best Buy carries a huge selection of baby and maternity products and they want to share them with you! Parents or parents-to-be with a baby under two are eligible to take part! If you are selected you will test ad keep baby products for free in exchange for writing reviews! Sign up at the link below to take part!